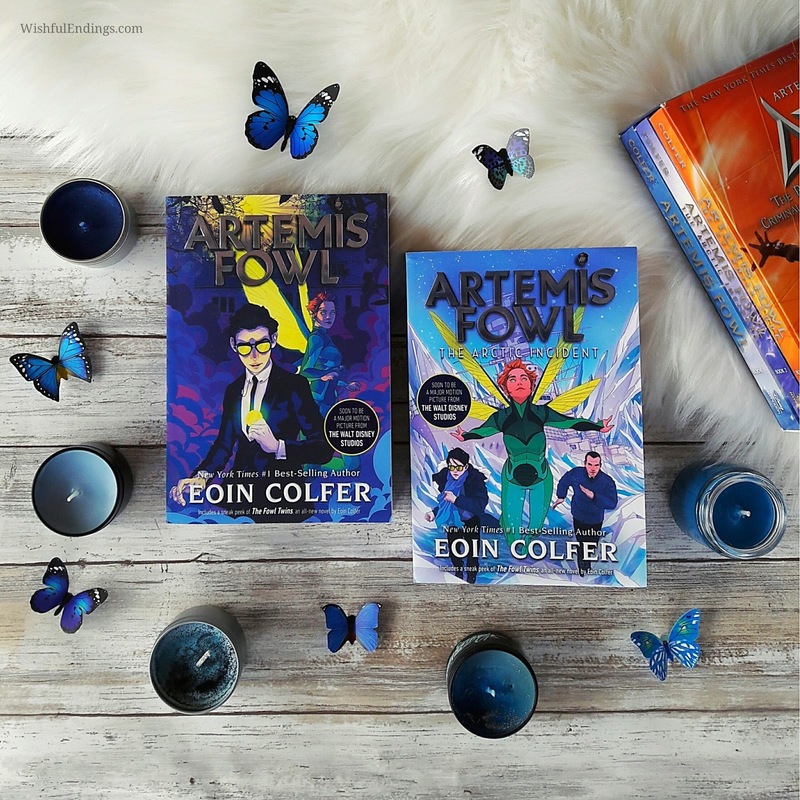 I was thrilled to hear about the redesign of the Artemis Fowl series by Eoin Colfer, the upcoming release of The Fowl Twins (a brand-new spinoff novel following the adventures of Artemis Fowl’s twin brothers), and the upcoming major motion picture of Artemis Fowl from The Walt Disney Studios coming in 2019! 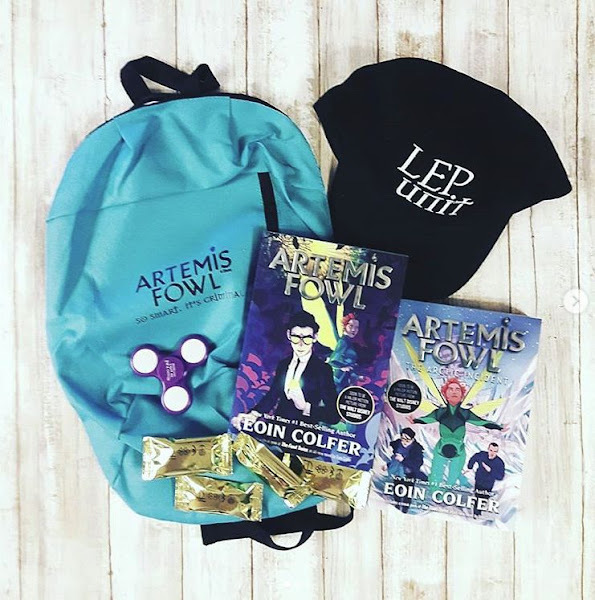 I received the first two books and some swag, thanks to Disney Books (picture below). 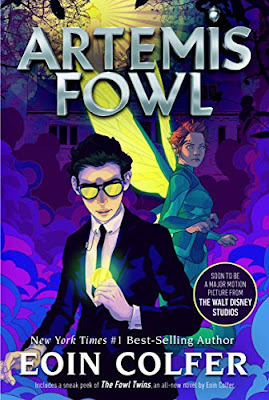 I can't wait to see this on the big screen and to read The Fowl Twins! Should be fun. In the meantime, here are the covers for the first four books that have been re-released (The Lost Colony and The Time Paradox will be re-released in December and The Atlantis Complex and The Last Guardian will be re-released in January). 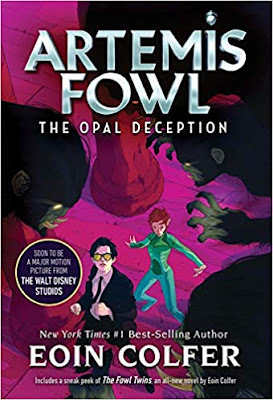 Each book includes a sneak peek of The Fowl Twins. 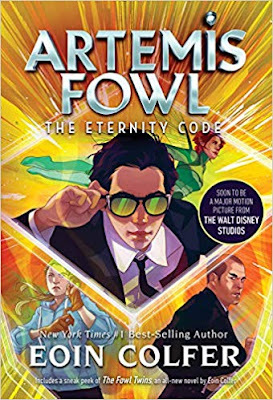 Are you an Artemis Fowl fan? 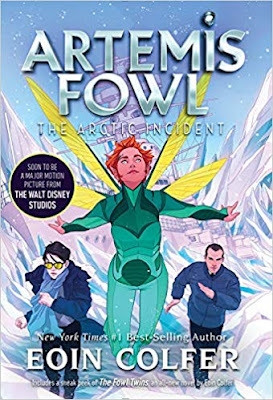 What do you think of the new covers? I've read the books and listened to the audiobooks and highly recommend both!